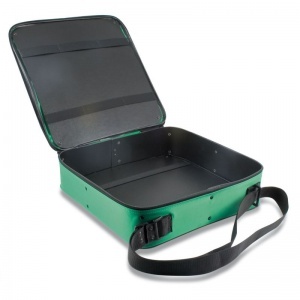 A straightforward suitcase design that combines fast access with capacious storage, the Green Lyon First Aid Bag (Empty) is a practical carry case for all of your first aid essentials. Supplied empty, you can choose the specific supplies that match your requirements, meaning that you have a tailored approach to providing first aid. The durable fabric of the Lyon bag provides superior protection against the elements, which makes it the perfect case for long-lasting first aid in a range of adverse conditions. Ideal for use outside, the Lyon Bag is appropriate for a wider selection of scenarios. A special feature of the Lyon case is the array of elasticated loops incorporated into the lid and base of the bag. These securely hold a variety of trauma dressings and first aid equipment in place for immediate selection in an emergency. An adjustable strap gives you the choice to use it as a grab handle or to carry it around as a shoulder bag, and a separate zipped storage compartment on the outside of the bag makes smaller items easy to store away. 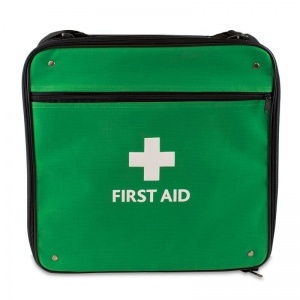 Please note that the Lyon First Aid Bag is supplied empty and that first aid supplies must be purchased separately. 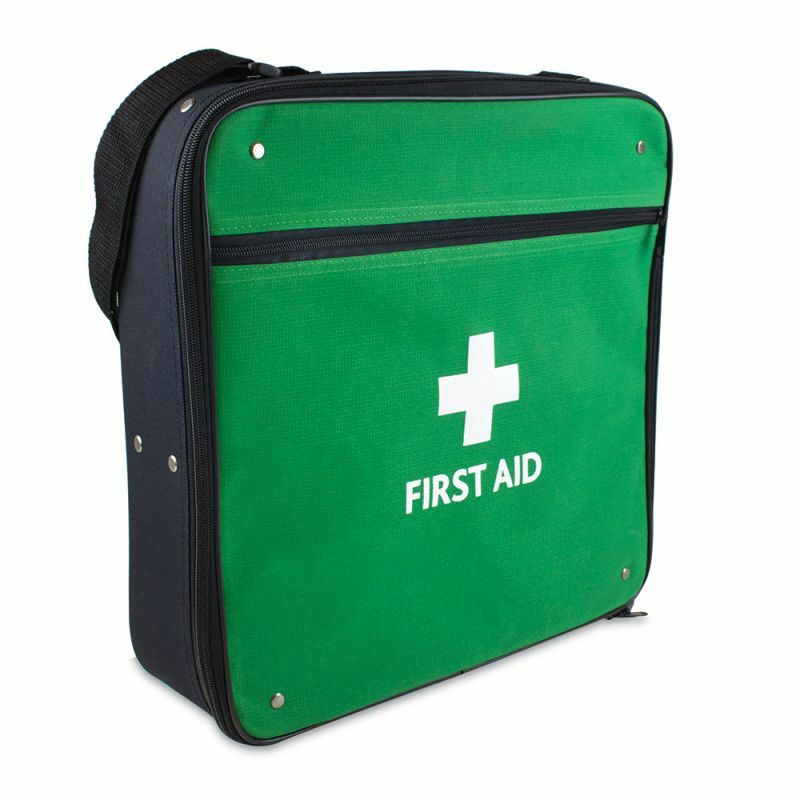 The Green Lyon First Aid Bag (Empty) is usually dispatched via First Class Royal Mail and delivery should be within 1 to 3 working days.